In 1997, the Archives of American Art received a donation of 20 linear feet of research material on the Chicano art movement in the United States and Latin America, compiled by Dr. Tomás Ybarra-Frausto. Ybarra-Frausto was a professor at Stanford University in the department of Spanish and Portuguese and has published extensively on Latin American and U.S. Latino culture. 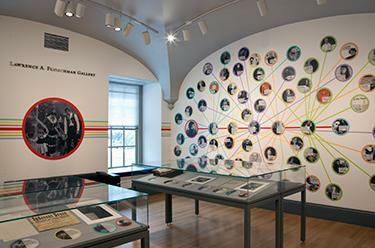 Selected items from this collection were exhibited at the Archives New York Research center in the fall of 1998. Catalog for The Broken Line's The Latino Boom...Boom! !